This is one of our many installations in Cheshire which completely changed the kerb appeal of this property. 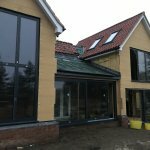 We manufactured and installed the windows, patio doors and the front entrance door on this property in our Afino Tec system in anthracite grey. The anthracite grey colour is becoming increasingly popular among our installations and we believe it’s a timeless colour which can transform the look of any property as shown here. To see what other colours we offer, click here. Our bespoke designer front entrances are unique to Weru and offer a sleek, modern design that can be designed by the client. With over 5000 designs to choose from with different surface finishes, glass designs and handles to select from not two doors are alike! Find out more about our front entrance doors here. This door in particular is from our Weru Sedor collection which boasts excellent security with a 3-point Auto Lock System as well as an additional main lock to secure the door. We also assisted the customer in having their garage door sprayed in anthracite grey to match with the newly installed windows and doors. We highly recommended Colour Tec who we have previously worked with.  Testimonial: We have an affinity for German products because of their quality and reliability, having in recent years installed a German kitchen and purchased their cars, hence our interest in Weru as a company. Following several visits to the Weru showroom and meeting the staff, we were convinced that this was the right product to meet all our requirements both in terms of the quality and design. The installation was efficient and timely and the overall outcome both inside and outside our house has surpassed our expectations. We believe our Weru windows and front door has been an excellent investment to our property.